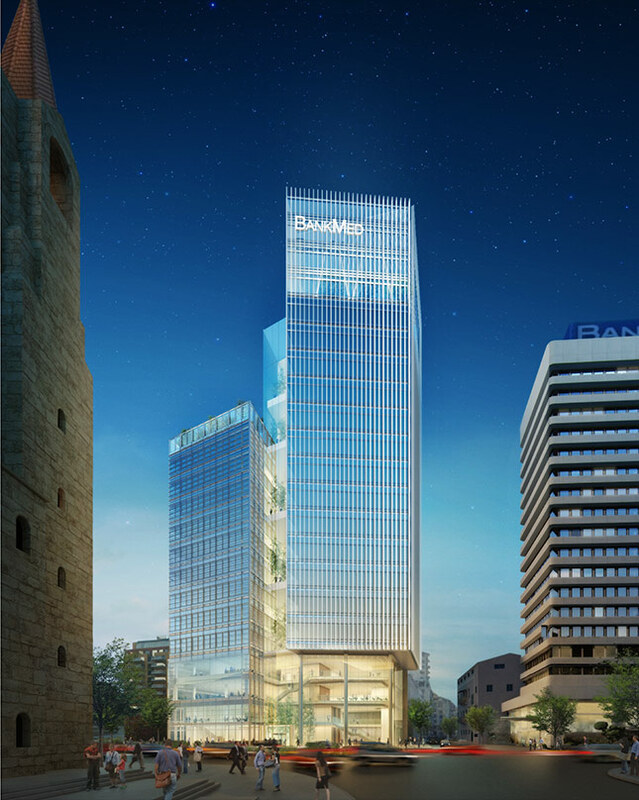 The design of the BankMed Headquarters II aspires to be an icon of 21st Century Beirut indicative of the bank’s status as the region's premiere financial institution. 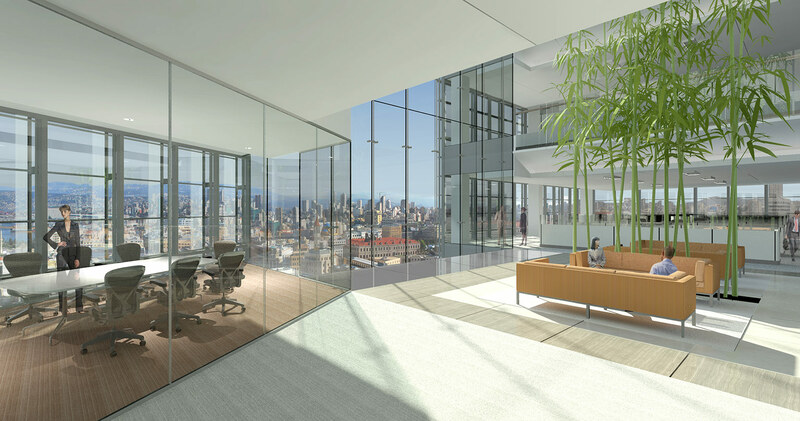 The development includes office space, a podium with a retail bank branch and cafeteria and below-grade parking. 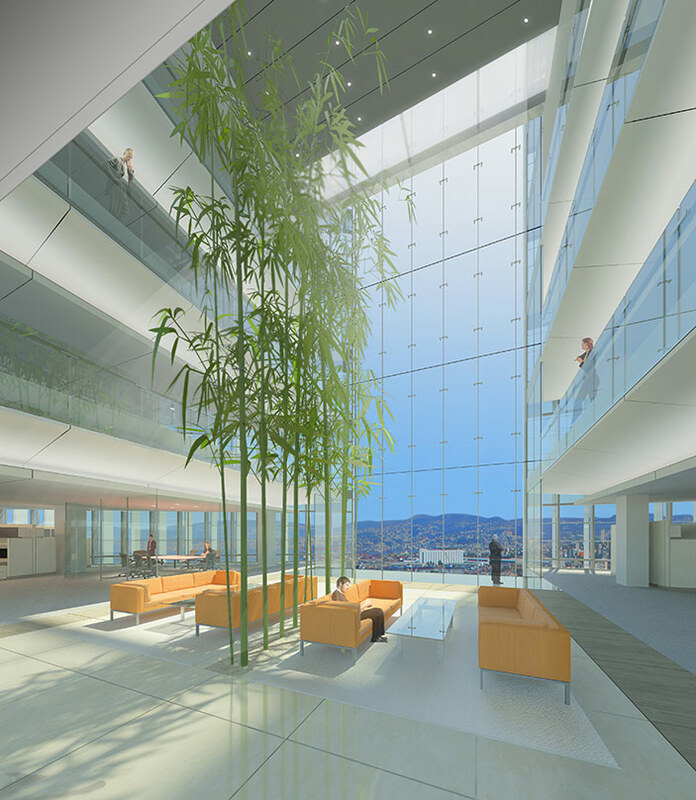 The building’s siting maximizes energy efficiency and is fully integrated with the existing headquarters across the street. 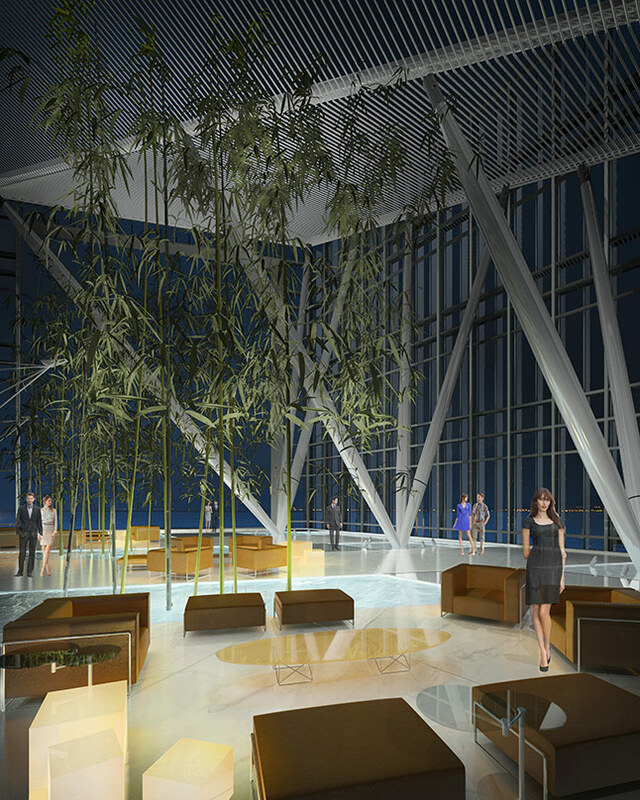 The tower is composed of two simple cubic prisms that modulate its form and achieve an elegance in scale and proportion. 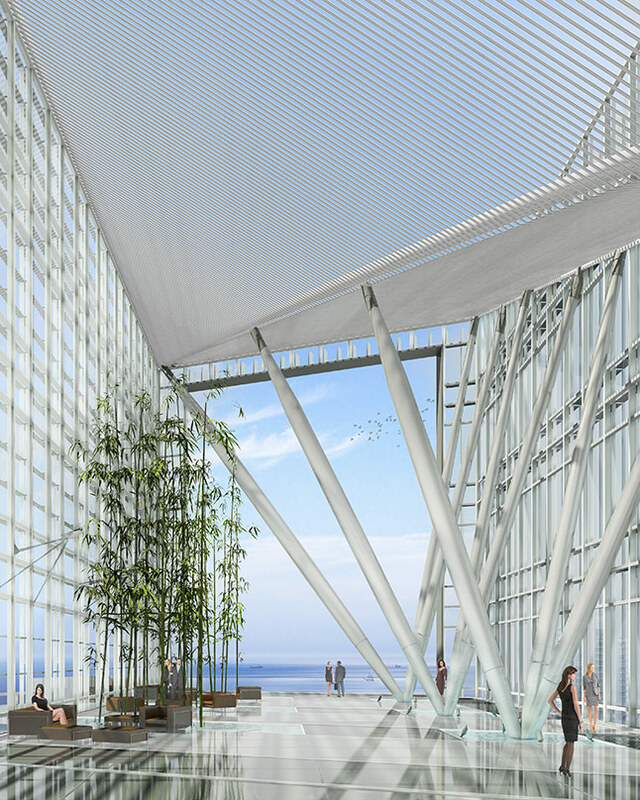 A series of stacked atria connect the two prisms to provide a grand three-story daylight-filled space and an active common area on each floor. The North prism extends above the last floor to gracefully enclose a rooftop terrace. 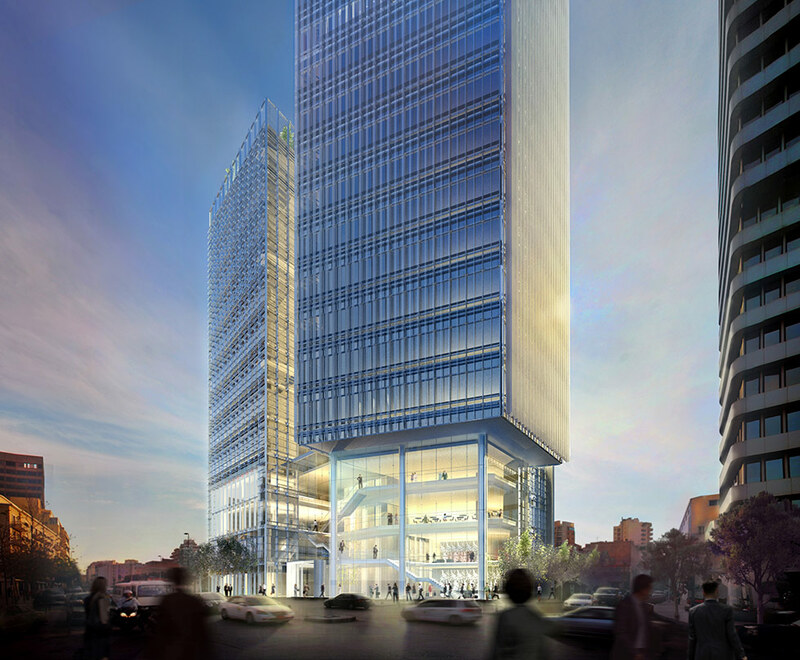 Designed as a landmark for Beirut, the tower's entries support street level pedestrian activity. Filled with daylight, the mezzanine cafe’s high ceilings create an elegant and open social space. 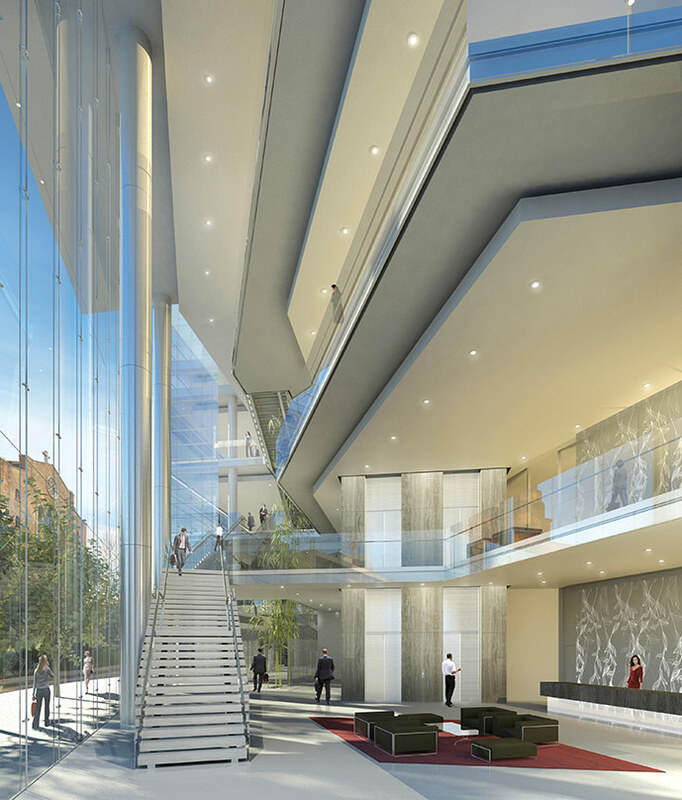 A monumental stair along the east facade rises up the podium to a cafeteria and conference center.